Theresa May is finished and the electorate can now expect six major votes in four years, writes John McLellan. Predictably, the clear lack of consensus in the conversations around the room, however convivial, was reflected in the results of the indicative votes the following day. Nor was there much hint of the Prime Minister’s declaration to the 1922 committee of Conservative MPs the following night that she would resign if the Withdrawal Agreement was approved. Members of all parties from across the UK came along, including the DUP’s Ian Paisley Junior, and an interview with his leader Arlene Foster on Wednesday was stark in its failure to recognise the risk her refusal to back the Withdrawal Agreement was running. “We are the Democratic Unionist Party,” she said, emphasising that her party will always put the Union of Great Britain and Northern Ireland first, but seemingly blind to the fact her actions could help create the conditions where there is no Great Britain with which to have a union. It might seem obvious to Scottish Unionists that making a General Election more likely by smashing the deal, as the DUP and ultras at both ends of the Brexit debate did yesterday, gives Scottish Nationalists the opportunity to exploit the gap between a divided Conservative Party and an unelectable Labour Party, but it’s far from clear elsewhere. One despairing Conservative MP agreed that beyond Scotland there was little appreciation of the alternative available to Scottish voters. Government lawyers beavered throughout Thursday night to set up the legal instruments needed if the Withdrawal Agreement was approved, but their efforts were wasted. Mrs May’s deal is dead, so where do we go from here? If Scottish voters have been fatigued by one major vote after another then we ain’t seen nuthin’ yet. With no time left to steer a course which avoids the 12 April deadline, then the only way to avoid the no-deal exit Parliament voted against is for the EU to agree an extension at their emergency meeting on 10 April which means participation in the European elections in May will be mandatory. A second EU referendum now seems inevitable, but who knows what options will be on the ballot paper. Maybe the next round of indicative votes on Monday will give us a clue; I doubt it, but let’s presume it’s some sort of Norway thing (where we stay in the customs union, the single market, follow EU rules, pay it a lot of money and have no say) against the revocation of Article 50. Under those circumstances, my money would be on the latter. The Prime Minister is obviously finished and a new Conservative leader might seek both a fresh mandate and a different Parliament with a clearer sense of direction about Europe. Again I doubt that will be the outcome, especially as extremists like Nigel Farage could make big gains in the Euro poll, and which bookie will give Conservatives favourable odds in a General Election? Conversely, you’ll need to put a lot of money on the SNP to make a meaningful gain. Amidst the mayhem, even small gains at a General Election by the SNP will be enough to make the calling of another independence referendum, even an unofficial one, hard for Nicola Sturgeon to resist. 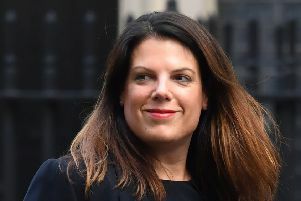 She might wait to try for a double endorsement at the 2021 Scottish parliament elections which, as in 2011-12, would make it difficult for the UK Government to reject a second Edinburgh Agreement. But by then we could be staying in the EU and we’d be back to the 2013-14 arguments about successor states. So give or take a month here or there, Scottish voters face the prospect of European elections this May, a General Election in September, an EU2 referendum in May 2020, the Scottish elections in May 2021 and Indyref2 in 2023. Not forgetting the council elections in 2022, of course. The day after the 2016 referendum I spoke to a neighbour who had voted Leave and I asked why. “Just to f*** up the SNP,” he replied. Well that went well, didn’t it? As for my little quiz, the answer is Tony Blair and he was referring to himself and the passing of the Freedom of Information Act, 2000. He was not talking about those who thought voting down the Withdrawal Agreement was the best way out of the crisis, but he might as well have been. And he can include himself again. After Tuesday night’s reception, RBS hosted a dinner at Drummond’s, their subsidiary bank with offices overlooking Trafalgar Square. As I admired the view, Labour MP Ian Murray shouted over “Hey John, I bet you’re not going to start your column with “I was having dinner in Drummond’s private bank overlooking Trafalgar Square’.” Correct. The column started differently. But good news from the European Parliament! Not that many people will have noticed amidst all the Brexit chaos, but publishers won a significant victory this week when MEPs approved the formal adoption of the EU Copyright Directive which will give news organisations the same commercial rights to their content as currently enjoyed by authors, artists and musicians. It means that when tech giants repurpose news material for their own feeds they will have to pay royalties and not surprisingly Google, Facebook and others fought a concerted campaign against to prevent its introduction. It is now expected to be introduced into UK law ... if anyone can find the time.